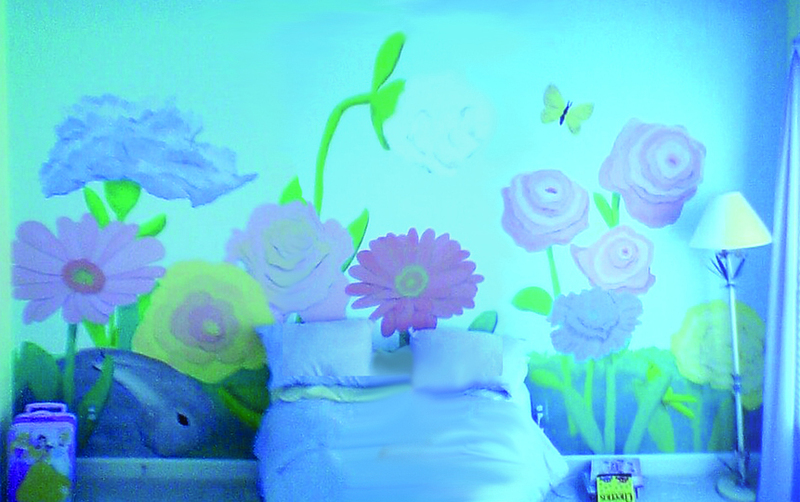 "flower garden"-a commissioned mural painting by Dave Lambard. "a kid's room mural. the intent was to make the child feel like they're a bumblebee or nymph in the garden"
need me to paint one for you?